Here is an old video I made a couple years ago on how the basics of painting miniatures. Enjoy and let me know if it was helpful. Digg it, post it, blog it, comment on it. This is one of my favorite Daft Punk songs but I only recently found this video. Where does one get a creepy, skinless, little kid robot in the first place? WOW! What a cool version of the Joker.They just keep giving me more and more good reasons to buy this game. Watch the move where Joker shove his opponent through five walls. I love how Joker tip-toes around and giggles after kicking the crap out of people. That along with Lex Luthor in his power armorand Deathstroe the Terminator!!!! I know what I’m asking Santa for this Christmas. 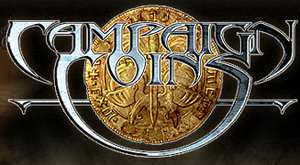 Campaign Coins is a company out of Australia that makes a currency mini game to use in your paper and pencil RPGs.